Why do guilty verdicts get overruled by judges in trials linking chemical products to cancer? High-profile lawsuits against large pharmaceutical, personal care and agrochemical companies, whose products are alleged to cause cancer, are a regular fixture in US courtrooms. Johnson and Johnson (J&J) is facing around 13,000 lawsuits relating to its talcum powder products, for example, while Bayer has assumed liability in over 11,000 cases relating to Monsanto’s glyphosate herbicide. A few years ago, Takeda and Eli Lilly faced a similar slew of suits over diabetes drug Actos (pioglitazone). The outcomes of these trials appear to follow a familiar pattern. A jury returns a guilty verdict and awards very large damages to plaintiffs, only for the decision to be overruled by a judge, or at least the amount of damages slashed. Experts suggest that this pattern reflects the scientific complexity of the legal cases involved, and they predict that these cases will continue to be primarily appealed rather than settled. Many of these cases are characterised by conflicting scientific assessments from various public bodies and private companies. With J&J’s talc litigation, plaintiffs’ lawyers have argued not only that talc itself is carcinogenic, but that J&J was aware of these risks but hid them, and that the company has funded its own shadow research to disprove it. Talc is a form of hydrated magnesium silicate, and some talc contains asbestos in its natural form. While asbestos is a known carcinogen, talcum products on the market in the US have been asbestos-free since the 1970s. Whether asbestos-free talc causes cancer is unclear, with mixed findings from animal and human studies. However, more recently, Health Canada released a risk assessment in December concluding that meta-analyses of the peer-reviewed literature indicate a ‘consistent and statistically significant positive association between perineal exposure to talc and ovarian cancer’. Further, the agency said available data indicate a ‘causal effect’. 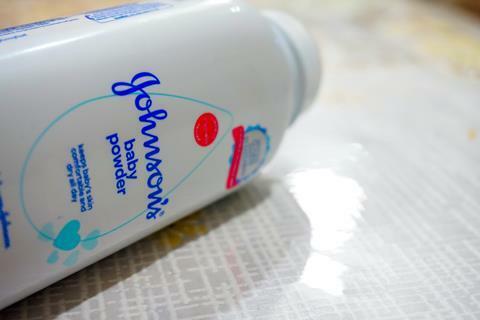 J&J continues to assert that its products are safe and that ‘decades of tests by independent, non-litigation driven experts and institutions repeatedly confirm that Johnson’s Baby Powder does not contain asbestos or cause cancer’. At the same time, US Securities Exchange Commission and Justice Department are investigating the company for alleged failures to disclose alleged asbestos contamination in its talc powders. In the courts, early cases in 2016 and 2017 came to varied verdicts: some favouring the company, others favoured the plaintiffs, and some were dismissed outright. Several cases in which large sums were awarded by the jury were later reversed by judges ruling there was insufficient evidence. In 2018, several high-profile cases in different states went against J&J, including one in which damages of $4.7 billion were awarded to 22 women with ovarian cancer they claim was caused by talc. Many of these verdicts have been overturned on appeal, and J&J is appealing the others, describing them as unconstitutional and excessive. In October, a New Jersey jury cleared J&J of liability in the case of a woman who blamed her mesothelioma on J&J’s talc products. In the weeks prior to that ruling, two similar lawsuits in California resulted in mistrials when neither jury could reach a decisive verdict. However, the firm settled one suit for an undisclosed amount in December, in conjunction with talc supplier Imerys America. And on 13 March a California jury delivered a $29 million verdict against J&J, which the firm is appealing. 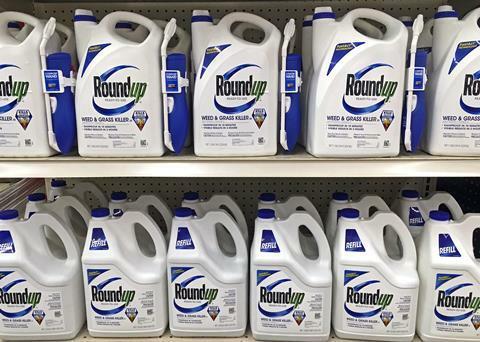 When Germany’s Bayer acquired Monsanto in June 2018 , it also inherited the legal tussle over glyphosate, the systemic herbicide active ingredient in Monsanto’s Roundup. The science linking glyphosate to cancer is contentious. Most suits cite an assessment by IARC, which labelled the herbicide as ‘probably carcinogenic’. However, this assessment has been criticised as it takes account only of publicly funded research, and ignores the likely exposure risk during its use. Other assessments from the US Environmental Protection Agency, the European Food Safety Authority, and the European Chemicals Agency, which consider both industry-funded and public research and incorporate a risk assessment, have concluded that the organophosphorus compound is unlikely to cause cancer in humans. In January, Health Canada also determined that glyphosate is unlikely to cause cancer. ‘After a thorough scientific review, we have concluded that the concerns raised by the objectors could not be scientifically supported when considering the entire body of relevant data,’ the agency said. In the courtroom, a California jury on 19 March unanimously decided that decades of exposure to Roundup was ‘a substantial factor’ in causing Edward Hardeman’s cancer, awarding him more than $80 million. ‘We are disappointed with the jury’s decision, but this verdict does not change the weight of over four decades of extensive science and the conclusions of regulators worldwide that support the safety of our glyphosate-based herbicides and that they are not carcinogenic,’ Bayer said in a statement. ‘The jury in this case deliberated for more than four days before reaching a causation verdict, an indication that it was very likely divided over the scientific evidence.’ The company will appeal the verdict, and has made details of over 100 company-owned safety studies publicly available in an effort to increase transparency. Last year, another California jury delivered a $289 million-plus verdict against the company. However, while the judge agreed that Monsanto had acted with malice by ignoring warnings about the harms caused by glyphosate, and upheld the verdict, she said the damages were excessive, and slashed the award to less than $80 million. The plaintiff accepted the reduced award, and Bayer has also appealed the verdict. A similar pattern also emerged in legal action against Asia’s biggest pharmaceutical company, Takeda, and its US-based marketing partner Eli Lilly, involving claims that the diabetes medicine Actos (pioglitazone) causes bladder cancer. The medicine was banned in France and Germany in June 2011, after epidemiological research showed that long-term users were more likely to have bladder cancer than people taking a different diabetes medicine. The first Actos trial in the US, which was in 2014, resulted in a jury ordering Takeda and Eli Lilly to pay a total of $9 billion in punitive damages, amid evidence that Takeda hid information about safety concerns. However, a judge cut those damages to about $37 million. Later, Takeda agreed to pay $2.4 billion to settle thousands of lawsuits on behalf of patients diagnosed with bladder cancer after using Actos. The company said its decision to settle does not change its continued commitment to Actos, noting that the medicine is still available in the US, Japan and elsewhere. 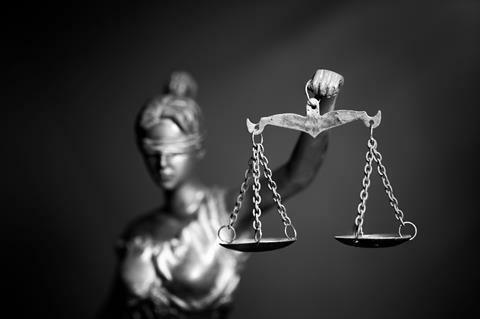 There are various reasons why judges may reduce damages after a trial conlcudes. In the glyphosate case, for example, the court determined that the punitive damages awarded exceeded the 1:1 ratio of compensatory-to-punitive damages recommended – although not mandated – by the US Supreme Court to satisfy due process, explains Jean Eggen, a law professor at Widener University in Delaware. In other cases, Eggen notes, awards are ultimately reduced because of state caps on punitive damages. That ceiling would not have been revealed to the jury to avoid any impact on its assessment of damages, she explains. Damages could also be dramatically curtailed if a judge decides that the evidence presented at trial did not warrant punitive damages because the defendant did not act recklessly, maliciously or intentionally. Furthermore, the court may decide after trial that it erred in admitting some key evidence. ‘This seems to be what happened in one of the talc trials,’ Eggan says. ‘Sometimes sympathetic juries can get carried away when assessing damages, so the trial judge’s post-trial check on the amount of damages is important,’ she adds. Nevertheless, on 27 March J&J settled three more lawsuits by women alleging that its talc-based products caused their cancers. The company said these settlements represent ‘one-off situations’ where such a solution is reasonable. To support the case that these products are safe, J&J pointed to a unanimous jury verdict in New Jersey, also reached on 27 March, which cleared the company of liability in a lawsuit where a man blamed his mesothelioma on asbestos in the company’s talcum powder. But Mark Lanier, an attorney for the 22 women who received the $4.7 billion talc verdict last summer, believes that J&J and Bayer­–Monsanto both suffer from ‘confirmation bias’, and that both companies will likely change their tune. ‘Folks are crazy…if they believe their own lines and refuse to settle,’ he says.